The country roads of western Paso Robles are winding, but one never has trouble finding HammerSky Vineyards. In fact, it’s nearly impossible not to stop at this singular property. HammerSky is distinguished by a strikingly beautiful century-old farmhouse, which sits regally alongside the entrance driveway. The majestic building is the first indication to visitors that they’ve found a special spot. 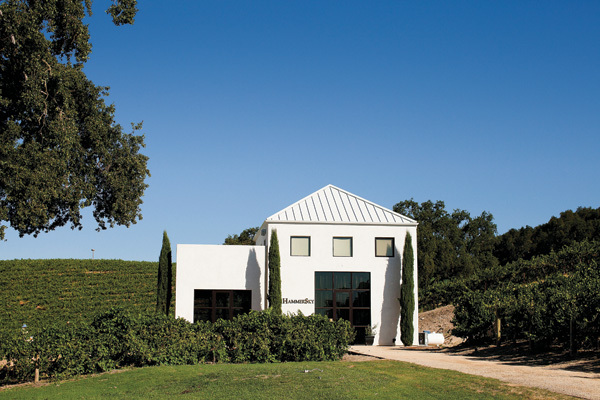 Beyond the gates lie several more: a panorama of rolling vineyards, a New England-style barn, and an ultra-modern tasting room where intriguing wine awaits. HammerSky Vineyards is, in fact, pouring some of the most intriguing wines found in Paso Robles. 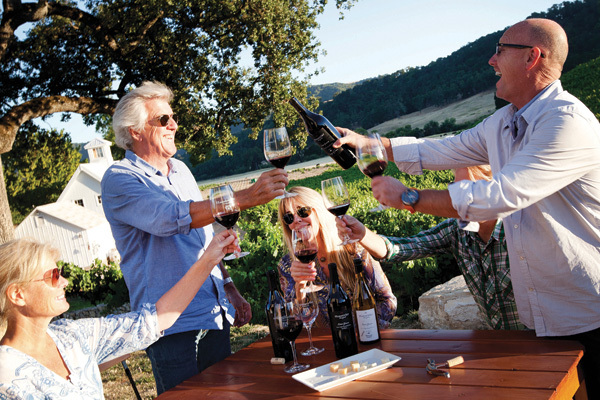 Vineyard owners, Doug and Kim Hauck, have moved away from red Rhône wines in favor of Bordeaux-centric, small lot, handcrafted wines. 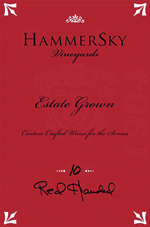 The 2010 releases are HammerSky’s most raved about vintage yet. The wines range from a 100 percent Sauvignon Blanc called Naughty Princess, to a pungent Merlot with a firm, but balanced tannin structure, to the fabulous Party of Four (a blend of Merlot, Petit Verdot, Malbec, and Cabernet Sauvignon), and a wine club exclusive: an ultra-dark and aromatic Cabernet Sauvignon. The portfolio rounds out with a stunning Zinfandel boasting the big, ripe rich characteristics for which Paso Robles is known. Beyond bold flavors and innovative blends, HammerSky Vineyards offers wine lovers another treat: the opportunity to spend time on its enchanting property. Originally from Newport Beach, Doug and Kim (who named the winery after their sons, Hamilton and Skyler) first made the beautiful farmhouse their own personal escape. 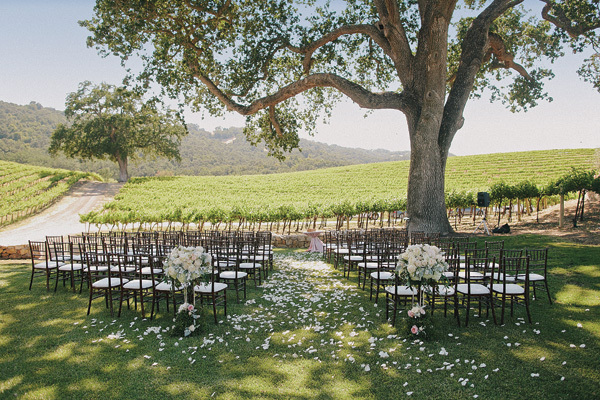 They then realized it would be an ideal hideaway for others who long to slow down and spend time among the vineyards. Guests are welcome to spend the night in the farmhouse, which sleeps up to six people. There’s also a charming renovated barn in the back, ideal for intimate weddings and family gatherings among the vines where future vintages of HammerSky wines will be born.